ENERGY STAR commercial grade Khl room AC installs in a window or through walls up to 8 1/2" deep; for rooms up to approximately 250 sq. ft.
Khl has been engineered for quiet, yet powerful operation. Extra thick rubber motor mounts absorb vibration and reduce noise inside, while steel inner walls and extra dense insulation block outdoor noise. Khl's 8-way air flow systems offer precise air distribution which means faster cooling when you need it most. Khl incorporates high-end materials like heavy-gauge galvanized steel, rifled copper tubing, and high-tech aluminum fins. Khl also uses the most durable components to extend the life of your air conditioner, including fully enclosed fan motors that seal out dirt, and powerful, energy-efficient compressors, which make Khl as tough an air conditioner as we've ever built. The ENERGY STAR qualified Khl SQ06 is designed to cool rooms up to 250 sq. ft. and can be used both in your window and for through-the-wall applications. You can now operate your Khl on the go from wherever you are using a smartphone, computer or tablet via FriedrichLink*. Khl units include two built-in energy management schedules additionally, create up to 5 custom programs* to fit your lifestyle. 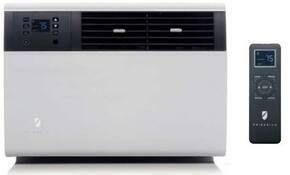 And, Khl is the first Smart Grid enabled room air conditioner. *Requires optional FriedrichLink Wi-Fi Adapter Accessory, sold separately. Store: alondra1020072012 Condition: New (Open Box, or other) Price: $729.99 Total Price: $729.99 Buy It from alondra1020072012 No returns. Last updated: April 18, 2019 at 12:05 EST. Pricing information is provided by the listed merchants. GoSale.com is not responsible for the accuracy of pricing information, product information or the images provided. Product prices and availability is subject to change. Any price and availability information displayed on amazon.com or other merchants at the time of purchase will apply to the purchase of the product. As always, be sure to visit the merchant's site to review and verify product information, price, and shipping costs. GoSale.com is not responsible for the content and opinions contained in customer submitted reviews.